Once during your turn (before you attack), you may have Naruto Transform. 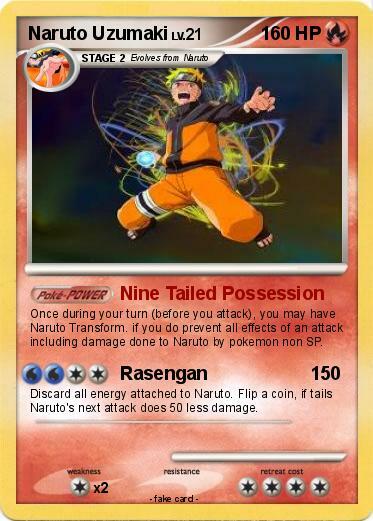 if you do prevent all effects of an attack including damage done to Naruto by pokemon non SP. Discard all energy attached to Naruto. Flip a coin, if tails Naruto's next attack does 50 less damage.